This year’s annual Left Forum conference and Left-Out Forum included 6 panels with 23 speakers — all categorized under a “Deep State” theme. The conference was held the weekend of June 3-4, 2017 at John Jay College of Criminal Justice, 11th Avenue & 58th Street, New York City. Click here for more information on the deep state panels. WATCH THE ARCHIVE OF THE LIVE STREAMS BELOW, courtesy of No Lies Radio News. It cost a lot of time, money and effort to produce these live streams and archives below. 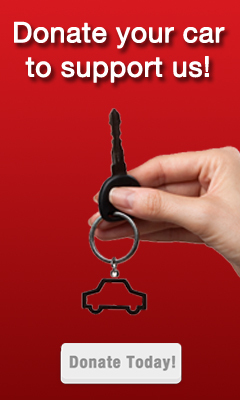 We would appreciate any extra donation of support. The September 2016 foreign aid package to Israel grants it $38 billion from the US, over the next ten years. In a recent poll, half of progressive and left-leaning Americans said Israel has too much influence on the US government. BDS and Black Lives Matter have recently given voice against Israel’s treatment of Palestinians. A recent FOIA request released the FBI’s own report on the four “Israeli movers” apprehended by police for celebrated the 9/11 attacks, in New Jersey. The Deep State 2.0 Panel points the way to a new path to peace in the Middle East: remove the massive funding from the US war machine, and it support for Zionist aggression. Fearlessly expose Israel’s and the CIA’s role in 9/11/01. End the racist demonization of Islam, and grant full statehood and human rights to Palestine. We reject the cliche that assume the Middle East will be at perpetual war, and that the conflict between Arabs and Jews is insurmountable. Peace in the Middle East will come when all sides have an equal common need to come to the table. We must parse out the Anti-Semitism in peace, anti-war and deep state politics, while being critical of Zionist militarism, aggression, and imperialism. So many political movements continue to labor towards the creation of a just world, following decades of struggle. Yet the existence of an all-powerful security state with fascist tendencies has exerted its power to advance its agenda for absolute control at every turn. This security state hijacked our government into a corrupt institution run by and for oligarchs and corporations who conduct their business through the policy of war abroad and repression at home. A new strategy for resistance is required and time is short. The declassification of 28 pages from the Congressional Joint Inquiry on 9/11 and passage of The Justice Against Sponsors of Terrorism Act (JASTA) has returned focus to the cover up of the 9/11 attacks and hypocrisy of the U.S. alliance with Saudi Arabia. Following a few steps further exposes collusion by members of the Bush administration, intelligence agencies, identifiable Deep State entities, and mainstream media. These developments have led to a new phase of 9/11 litigation. Come learn how analysis of even this one area of 9/11 evidence reveals the geo-politics of the U.S.-Saudi relationship and its effect in destabilizing the Middle East. This understanding is essential to exposing the war on terror as a tool of the criminal Deep State. Using an intentionally ambiguous interpretation of hate crime, various politically-correct elements, including those on the Left, are aggressively blocking dissent, inquiry, and free and open debate in public forums whenever they feel their orthodox dogmas have been violated. In the United States of America, there is not a single topic that should be denied a platform for scientific, intellectual examination. (Except, of course, speech calling for or inciting violence.) Unfortunately, there have been a wave of witch hunts against academics and activists when they attempt to discuss evidentiary facts on controversial topics such as 9/11, false flags, and Zionism. They have been subjected to ad hominem attacks, fired from their jobs, and in Europe, imprisoned for voicing unpopular ideas. Such fascist behavior runs counter to our deeply entrenched democratic values and must be vigorously resisted. Dr. Anthony Hall was suspended from his tenured position of 26 years at a Canadian university without pay for his online activism. With support from his union, Dr. Hall has since earned back pay, but has yet to be reinstated. Jeremy Rothe-Kushel, guerrilla journalist, was manhandled and ejected from a Kansas City public library event on “Truman and Israel” for asking a fact-based, but “forbidden” question during the Q&A. He was subjected to trumped-up charges of trespassing and resisting arrest. Following their 9/11 soft coup, the neocons waged a planned, calculated war on Muslim states under the guise of protecting Americans from “terrorists.” Their end game was to guarantee perpetual war and a heightened security state in the US. When al Queda was no longer threatening enough, out of thin air comes ISIS, a newly-branded, more psychotic incarnation. The corporate media rarely reports that ISIS is 100% paid for and controlled by US/NATO/Israel/Saudi/Turkish forces. Publicly this bogeyman is reviled and used to whip up fear and bellicosity. Behind the scenes, ISIS and other jihadi spin-off groups are our shock troops, the go-to mercenaries to effect regime change in places like Libya and Syria — as well as inciting false flag attacks in wavering countries like France to ensure they toe the line. The panel will expose the real purpose of “terrorism,” and show how the Left can resist these manufactured wars and fabricated heroes like the White Helmets. Michael Springmann, the diplomat-whistleblower, revealed how the CIA secretly issued visas through US embassies and consulates to produce trained-in-the-US terrorists as they did with the alleged 9/11 “hijackers.” Springmann will discuss the long-term, continuous US policy to destabilize, deculturalize, and destroy sovereign states throughout the world. Dr. Anthony Hall will explain how the transformative events of 9/11 draws on a heritage of ethnocentric contempt for otherness in which a trajectory of US imperial thuggery continues to this day. False flags — attacks covertly created by one group then blamed on another for ulterior purposes — have been engineered throughout history, typically to incite wars. Today, false flags are used to achieve many shadow government goals, including fomenting Islamophobia and cowing an unwitting public into supporting a fascist agenda. Fueled by a neo-McCarthy, anti-truth climate, false flags intimidate activists from critical inquiry beyond the levels of “acceptable dissent.” Ongoing attacks — both low-level and audacious spectacles — are required to maintain a fearful populace and a permanent security state. Leading false flag researchers are discovering a striking number of suspicious similarities between current false flag events. Examples include IDs left behind, CATV cameras turned off or “not working,” similar, simultaneous paramilitary drills, prior police knowledge of the suspects, etc. Typically, the media does a rush to judgement, spouting what will become the official story and blatantly ignoring the many anomalies. Dr. Kevin Barrett is at the forefront of challenging the false flag phenomena. From Guy Fawkes to the USS Maine, to 9/11, Paris, and beyond, Dr. Barrett provides a comprehensive historical overview of these shadowy events. Researcher Ole Dammegard shares details from his onsite investigation of the July 2011 Norway false flag mass shooting in which a “lone gunman” executed 69 youths at a summer camp on Utoya Island. Investigative reporter Dave Lindorff will speak about the Boston Marathon false flag incongruities and outright lies, some of which surfaced at the Dzhokar Tsarnaev show trial. Lindorff will also provide details about a little-known false flag that never materialized: a plot to assassinate the “leaders” of the Houston Occupy movement — all with FBI foreknowledge. Dammegard shares details from his onsite investigation of the July 2011 Norway false flag mass shooting in which a “lone gunman” executed 69 youths at a summer camp on Utoya Island. Increasingly, Leftists are challenging the official 9/11 story, focusing on forensic, political facts — not ideological positions. Much of the Left leadership, however, shun discussion or investigation of the many omissions, misstatements, and deceptions of the official 9/11 narrative. They call 9/11 inquiry a distraction from “the real work.” Given that “everything changed after 9/11,” 9/11 truth activists believe the acceptance of a deceitful Bush/Cheney/Rumsfeld version of 9/11 directly allowed for an unprecedented transfer of power to the Deep State. Resistance to the 9/11 official story is “the real work” required to end wars on terrorism, reduce Islamophobia, restore civil liberties, and slash the bloated military/intelligence budget. 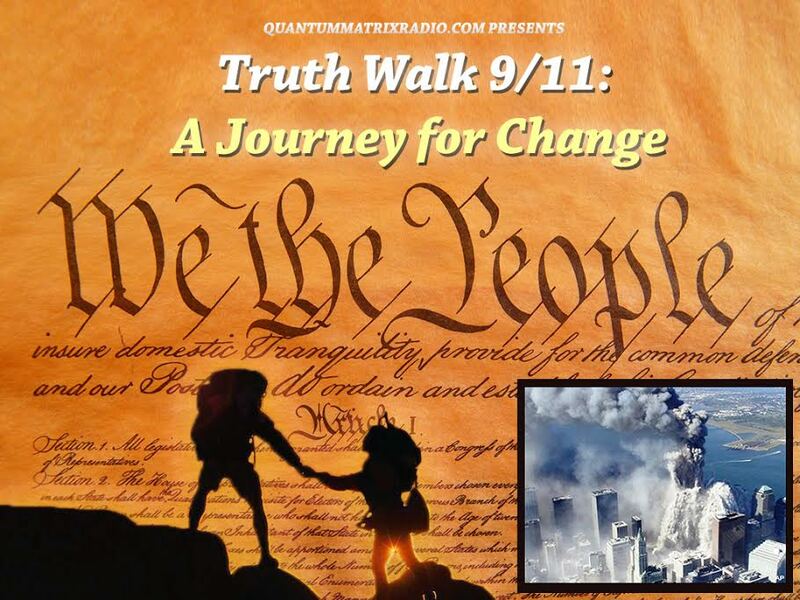 Dr. Kevin Barrett’s talk, “9/11 as Psychological Warfare,” will reveal the historical roots of 9/11 which were in the making long before September 2001, including how 9/11 was planned as a trauma-based, mind-control psy op. 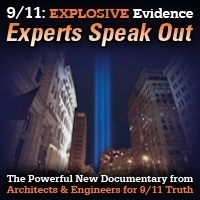 Based on eyewitness testimony and science, Richard Gage, AIA, founder of Architects & Engineers for 9/11 Truth, will cite overwhelming evidence that controlled demolitions brought down the three World Trade Center skyscrapers — as opposed to what we were told by our government and media. Barbara Honegger will summarize the falsehoods of the official story surrounding the Pentagon and Shanksville events, as well as the pivotal role of the anthrax attacks which closely followed 9/11 and were key toward ensuring passage of the Patriot Act. The views and opinions expressed in these presentations are those of the speakers and do not necessarily coincide with those of No Lies Radio/No Lies Foundation. These video presentations were captured from the Left Forum as a news reporting event by No Lies Radio news. This entry was posted on Wednesday, June 14th, 2017 at 10:29 pm	and is filed under 9/11, Anti-War, Bio-Chem/Warfare, Censorship-Propaganda, Concentration Camps, Cyber-Drone-Space Warfare, Death Squads, Deep Truth & Deep State Panels, Disaster Capitalism, Education, False Flag Weekly News, False Flag/Fake Terror, Freedom, Genetic Engineering - GMOs, Geopolitics, Human Rights, Immigration, Justice, Kevin Barrett, Martial Law, Mind Control, News, No Lies News, Nuke War - Nukes, Occupation, Pedophilia, Police Brutality, Politics, Protest, Regime Change, Rendition, Social Engineering, Surveillance, Swine Flu, Torture, Vote Stealing, War Crimes, Weather-Earthquake Warfare. You can follow any responses to this entry through the RSS 2.0 feed. Dr. Kevin Barrett’s analysis on the war on terror is the cutting edge and Left Forum needs his knowledge. He has risked himself as one of the leading opponents of the US-Israeli War against the world. 911 was done by the elements of the US government along with dual US-Israeli citizens. Ole Dammegard’s contributions are precious and unique, no other researcher has the deep insight that his work has generated. He has even be able to predict and stop terrorized attacks by the US-NATO-Israeli network. That Left Forum forced this group to put together a ‘Left Out’ forum shows that they are the cutting edge and the Left Forum needs to be more expansive in its outlook.